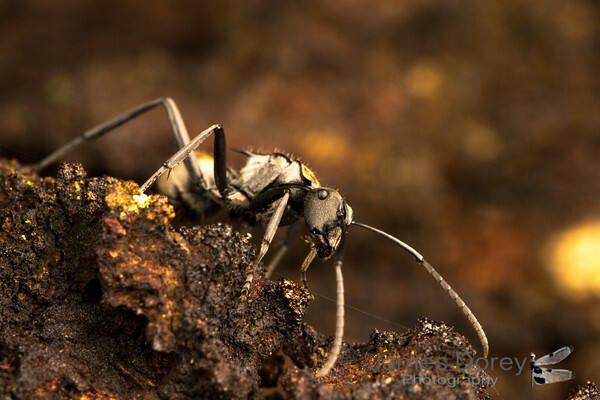 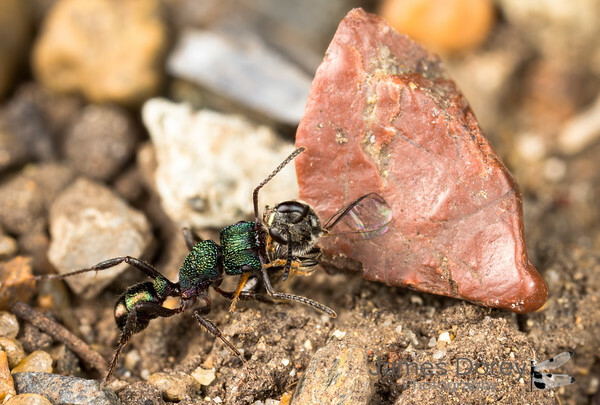 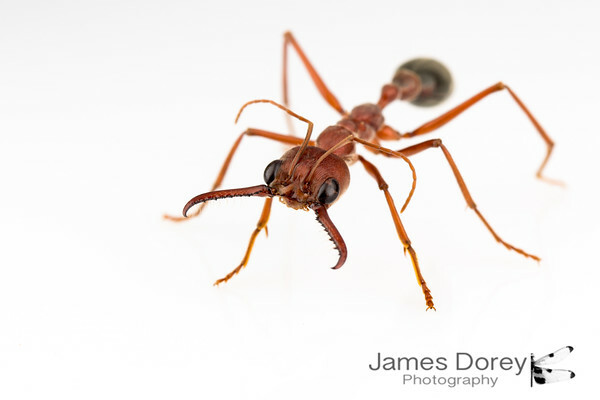 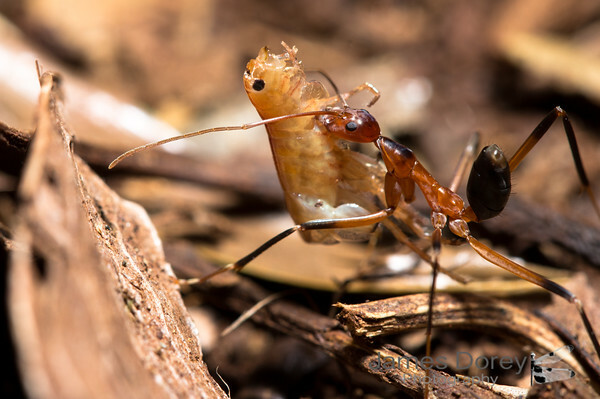 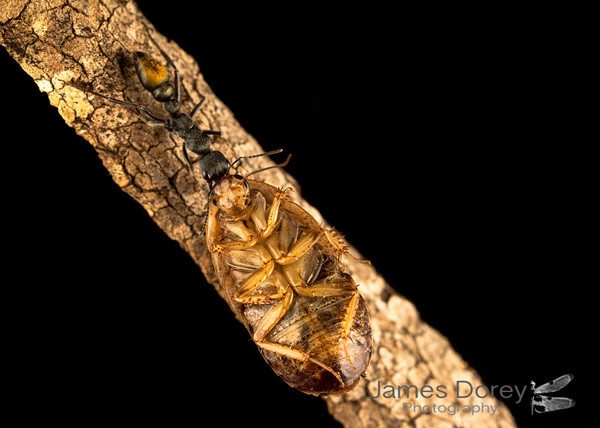 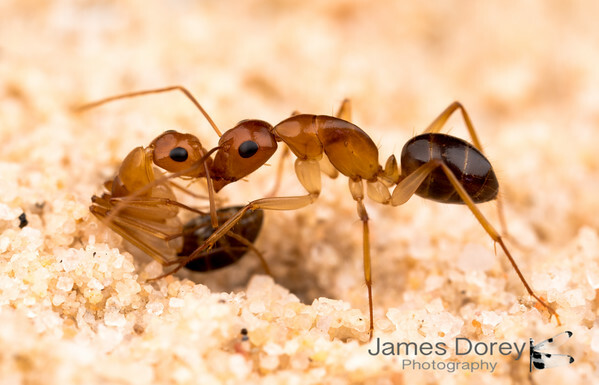 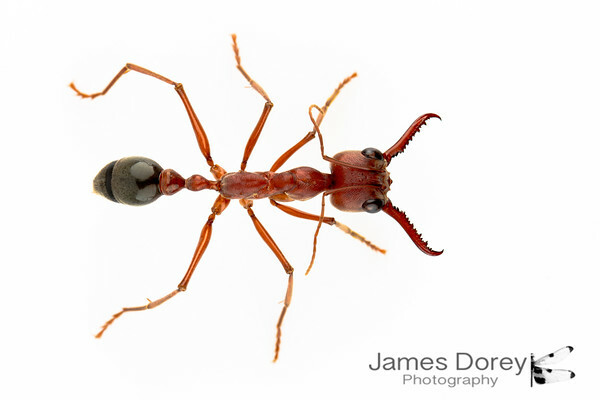 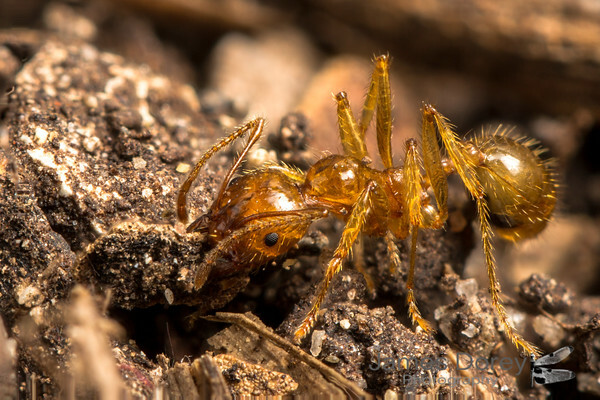 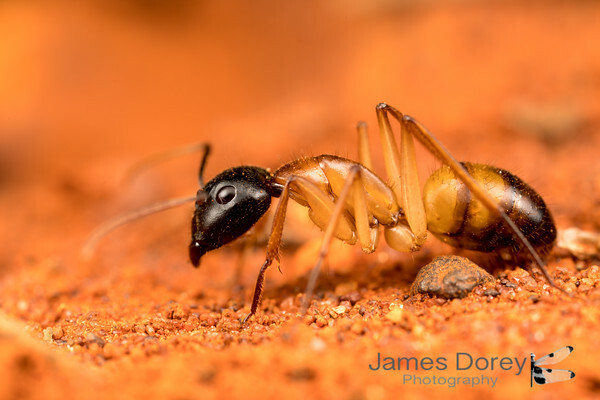 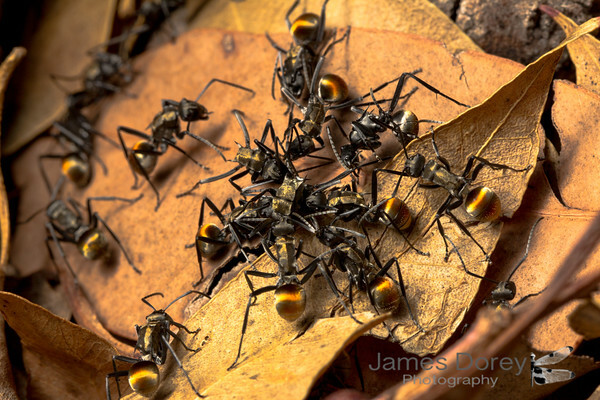 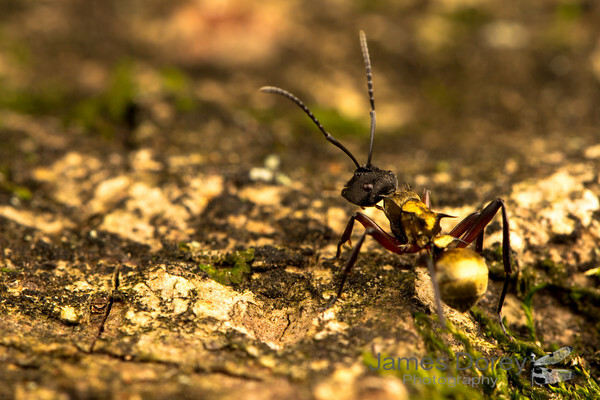 Golden-tailed Spiny Ant - Polyrhachis (Hagiomyrma) sp. 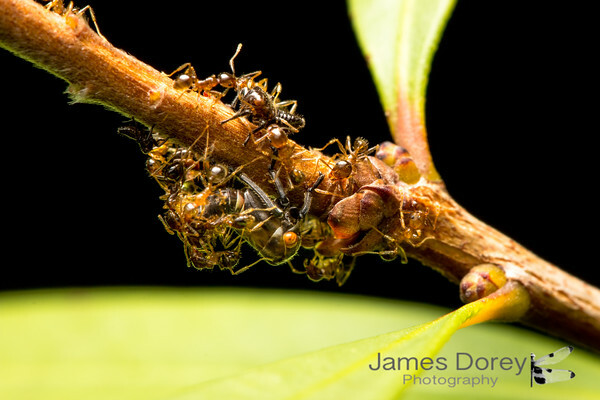 These little bugs are getting tended to by some ants. 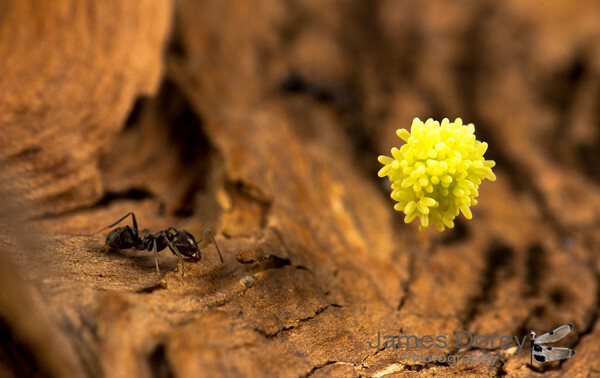 The ant on the right is pulling the leg of the ant on the left who in turn is trying to remove a dead body from the hive… There seems to be many of these fights going on as the ants bring dead members from their nest in the base of this tree ever upwards. 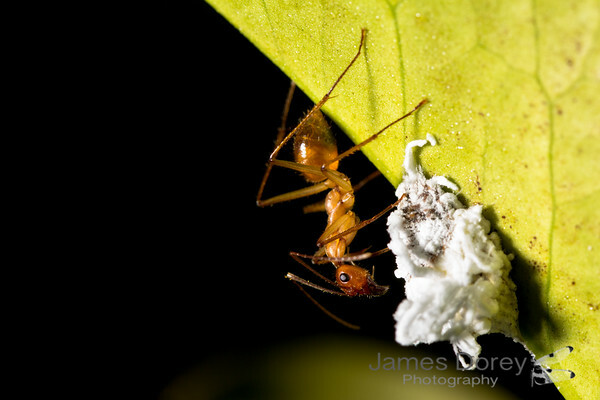 Possibly mantispid eggs, with a tiny black ant for size.